I have been working on my baby quilt commission. The top is finally completed without having to do any partial or Y-seams. A little brainstorming session with pen and paper got it all sorted into easily put together pieces. I really wish I had documented the construction with photos. But the truth is, I was flying along and in the creative groove. Now the top is anchored to the batting and backing. The basting method I chose for this quilt is one I had not tried before. I used some Lapel Stick the top and anchored it to the batting. Then I put some on the backing and anchored the batting to the backing. I did one row at a time starting from the center to insure a nice smooth finish. For the backing I just estimated the width of the rows. I put one dashed line of the Lapel Stick glue across the area. I lightly pressed it on each side as I finished the side. I find that helps to enforce the hold when an item will be handled a lot. And I know I will be handling this a lot as I quilt it. I am very happy with how the Lapel Stick works. I love the fact that it washes away when I launder the quilt. In the coming week this quilt will get quilted. I have to get my quilting mojo working so this one turns out excellent. I think that I will probably change thread colors so that the quilting thread doesn't stand out but rather blends into the quilt. And remember that Monday is the start of the Patsy Thompson Designs blog hop. I will be showing my projects on Tuesday. Be sure to follow along - and if you have an embroidery machine, there are NICE prizes you can win. Turned out just like the EQ image! Looks great! That is such a cute quilt. So happy you avoided Y seams. Happy quilting, can't wait to see the quilt all finished. What a fun quilt Gene. It looks great. Good to hear you were just cruising along and not thinking about photos...that tells me you got your mojo going. Can YOU be an Angel? 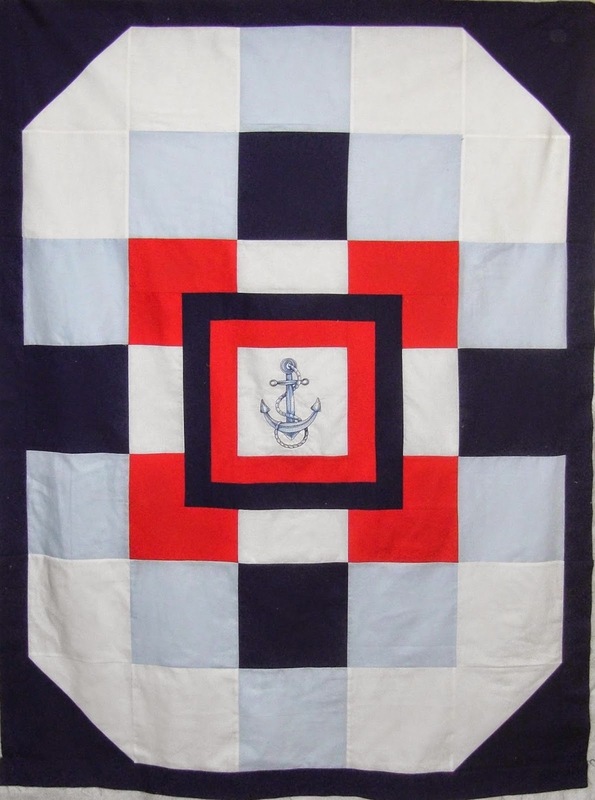 Anchoring My Creative Quilt "Mess"